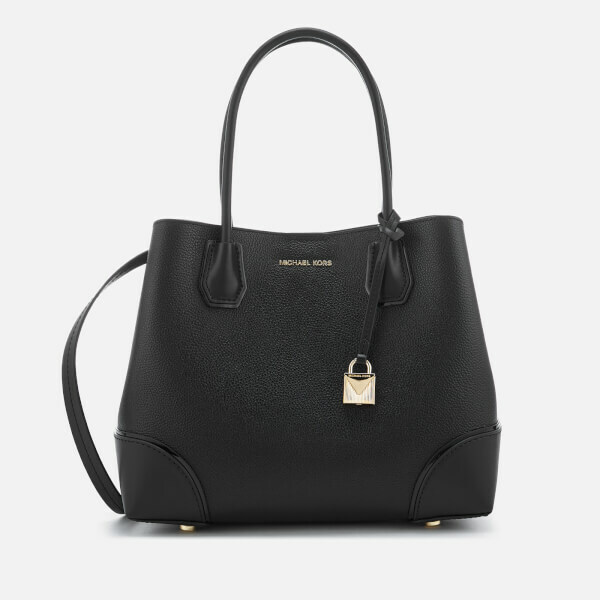 Women’s black tote bag from MICHAEL MICHAEL KORS. 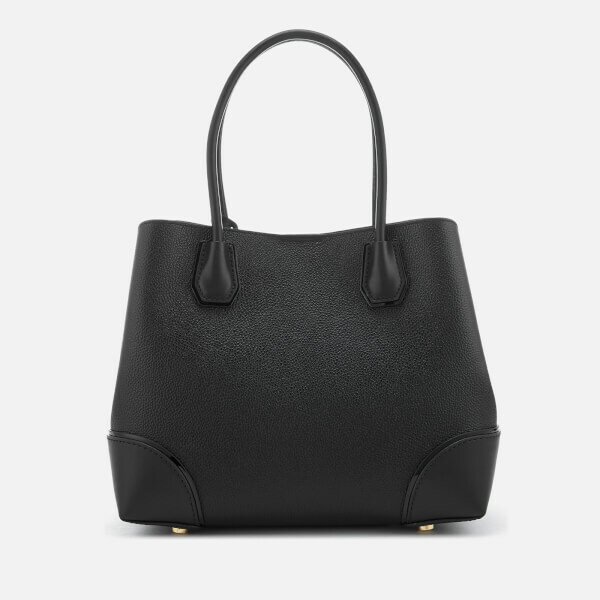 Constructed from grainy leather with contrast base corner panels, the tote comprises a magnetic clasp fastening that secures the interior. Within, the tote houses outer slip compartments and a central zipped section in between, complete with a zipped pocket and multiple slots for storing small essentials. 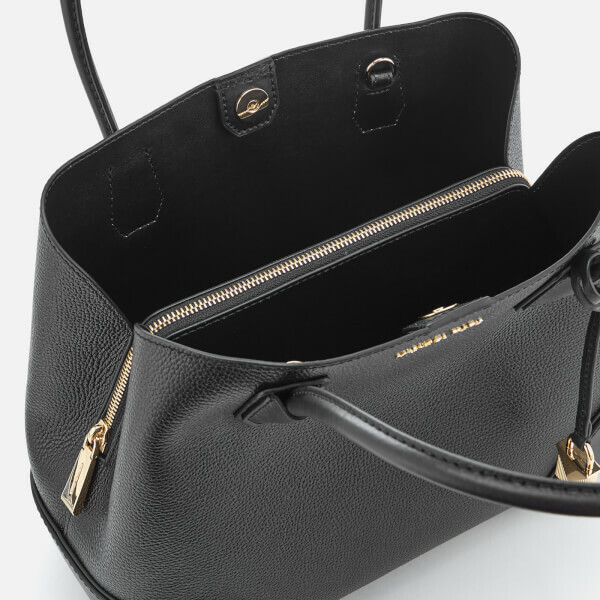 Reinforced twin handles and an adjustable, detachable strap offer versatile carrying options, while gold-tone hardware adds a luxe appeal to the structured handbag. 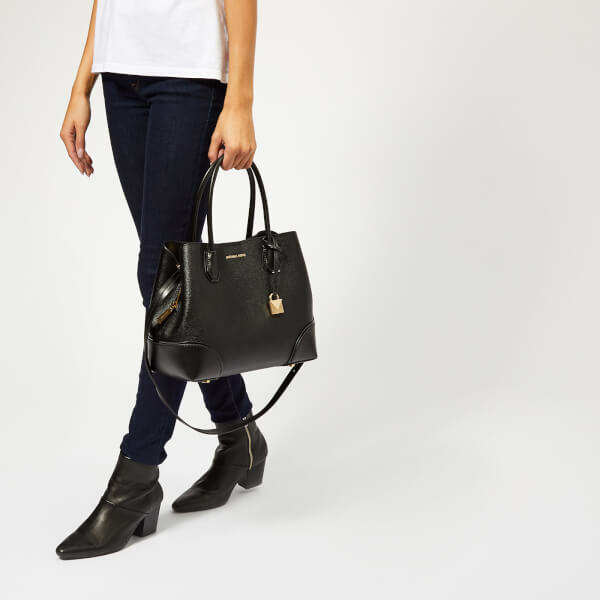 Complete with protective metal feel at the base, appliqué branding at the front and a removable padlock charm. Dimensions: H: 25cm x W: 30cm x D: 14cm. Handle Drop: 17cm. Strap Drop: 50cm.